Sony has announced limited edition PS4 consoles with Gran Turismo Sport branding for the UK, Europe and Australasia. 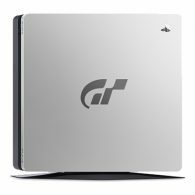 The consoles will be available from 18th October to coincide with the release of the game, and will include the PS4 console with GT Sport branded silver faceplace and silver DualShock 4 controller. 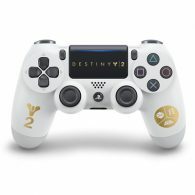 A Limited Edition Destiny 2 DualShock 4 controller has been revealed for Europe, and will be releasing on 6th September. 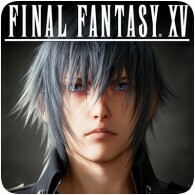 Unfortunately, it won’t be available in the UK, Poland or Russia. 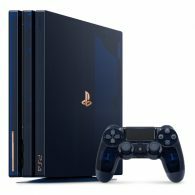 Also, new Jet Black PS4 Pro bundle has been revealed along-side the previously announced Glacier White bundle. 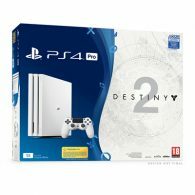 The first limited edition PS4 Pro bundle has been revealed: the Destiny 2 branded PS4 Pro in Glacier White. The bundle will come with a 1 TB PS4 Pro in Glacier White, with matching DualShock 4 controller, and will be available from 6th September 2017. 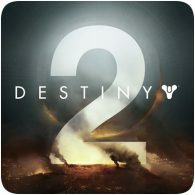 Activision has officially revealed Destiny 2, which is scheduled to be release this September. The first trailer has been released for the game (see below), and a public beta has also been announced for 18th May – players who pre-order the game will get the first chance to play the beta. 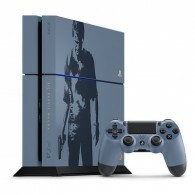 Sony and Naughty Dog has announced a Limited Edition Uncharted 4: A Thief’s End PS4 bundle, which comes with a Uncharted branded Grey Blue 1 TB PS4 console, a physical copy of the game and a matching DualShock 4 controller. If you’ve already got a PS4, you can also get the DualShock 4 controller separately. 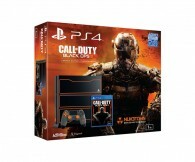 Sony and Activision has announced a Call of Duty: Black Ops III Limited Edition PS4 console, that will be available on 6th November 2015, when the game launches. 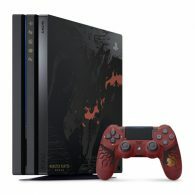 The system features the Call of Duty: Black Ops III ember orange logo on a Jet Black chassis, complete with coloured power and eject buttons, as well as three emblems from the game.